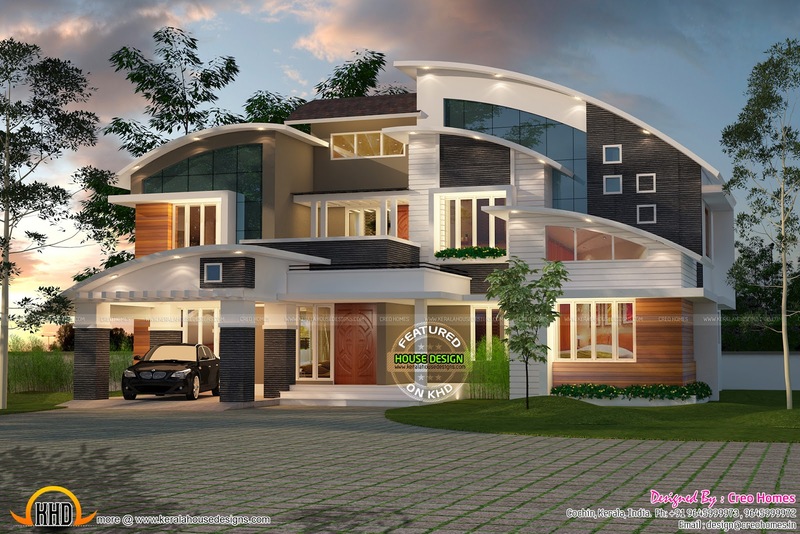 Very beautiful contemporary style curved roof house plan in 2991 Square Feet (279 Square Meter) (332 Square Yards). This house can be viewed in 4k resolution. Designed by Creo Homes, Cochin, Kerala. Ground floor : 1971 sq.ft.